People love music and Spotify provides such service to meet people's need. Spotify is a digital cross-platform music streaming service offering users a variety of record label content from Sony, EMI, Warner Music Group and Universal. Launched in 2008, Spotify has had 75 million active users and over 20 million paid subscribers worldwide. Although Spotify is perfect for music fans, it does not provide an option to extract the MP3 files from Spotify, thus, the subscribers can't download Spotify songs or play on MP3 player. "I pay for Spotify premium and can download all my tracks for offline use. I know the files are located on my HD so I click 'show package contents' on the Spotify app and navigate to the contents but I can't find the encoded files containing the audio files. I am reading about how Spotify encodes and protects the music preventing users from downloading the audio files. Has anyone tried to download their Spotify playlist to obtain the mp3's?" Even you are the Spotify premium subscriber, it is out of luck to obtain the MP3 audio from Spotify song. What if you need to rip MP3 from Spotify, any ways to enjoy Spotify songs in MP3 format? The article introduces you Sidify Music Converter for Spotify, which is a Spotify to MP3 ripper that helps extract the MP3 files from Spotify songs from any tracks or playlist. Here is the step-by-step tutorial on how to obtain MP3 audio from Spotify with Sidify music converter. Tools needed: Sidify Music Converter for Spotify, Spotify Application, a computer running Mac OS or Windows OS. 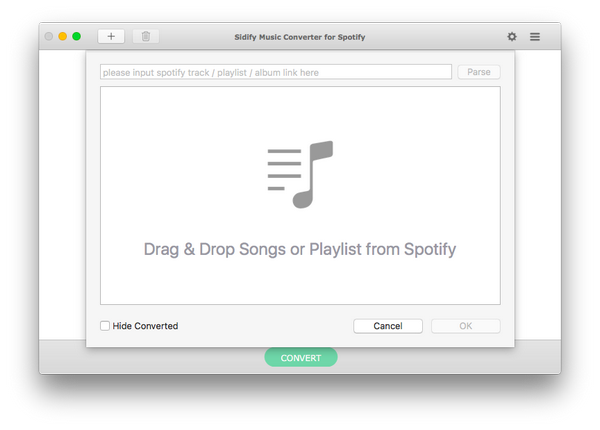 Launch Sidify Music converter for Mac and Spotify application would be opened automatically with it. 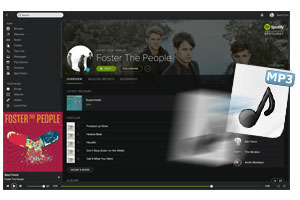 Click center of Sidify program interface, it will indicate you to drag and drop the single song or whole playlist from Spotify to Sidify program. Check the songs you would like to convert, then click OK. 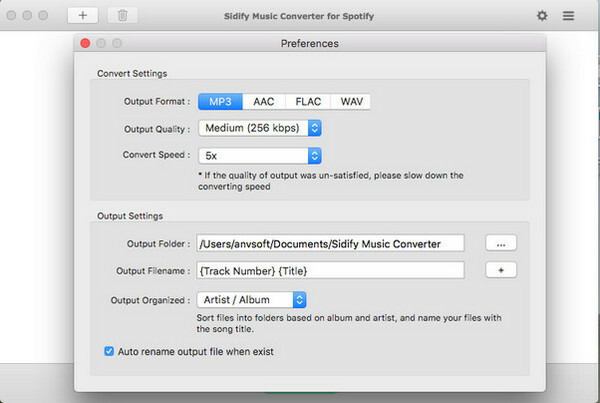 The added Spotify songs would appear on the main panel of Sidify Music Converter, displaying information of music name, artist, duration... Click the option icon on the top right and choose output format as MP3. By default, Sidify program would convert the songs at 5X faster speed. After you have adjusted the settings, it is time to convert the Spotify songs to MP3 by clicking CONVERT button. 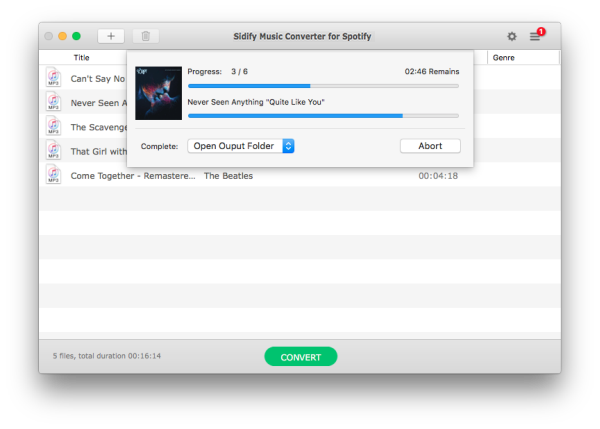 Sidify music converter will convert the Spotify songs one by one with lossless quality. When the conversion process is completed, you can find the MP3 files which are extracted from Spotify by going to the destination folder. If you don't change the path, the output files would be located under "/Users/YOURNAME/Documents/Sidify Music Converter" by default. You can also find the output files by clicking History button on the top right and view the conversion history. 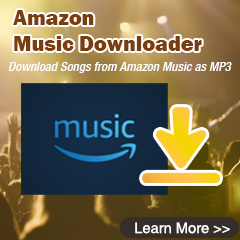 With the above simple 4 steps, you are able to extract MP3 audio files from Spotify songs easily. Sidify music converter can keep 100% lossless quality as well as ID3 tags after conversion, giving you a perfect experience on enjoying Spotify music in MP3. Note : The trial version of Sidify music converter for Spotify has 3 minutes conversion limit. You can unlock the time limitation by purchasing the full version.